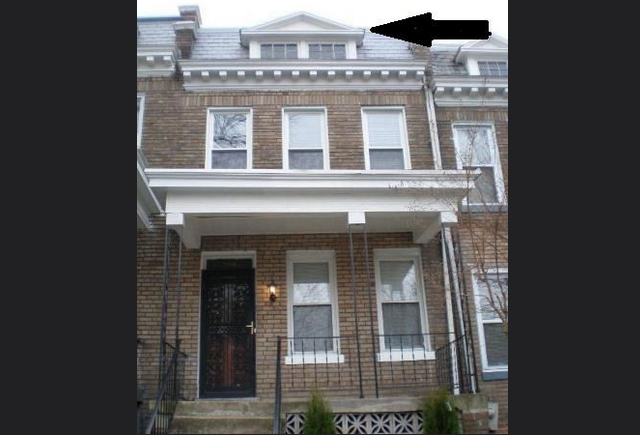 PoPville » Best Use of Attic Space in a Row House? Most row houses in Petworth have these front attic windows that you see in the picture, but it seems all the new renovations going on these days don’t utilize this space. Most likely this attic area is just insulated up and no access points are left. Is that the work of developers who just want to flip the house without putting money into this space or what? It seems there should be some good space up there though judging from the window sizes, and with the houses not renovated I sometimes see lights on and/or a ceiling fan moving around so there must be some options here. From the Forum – Printing of large scale photography?